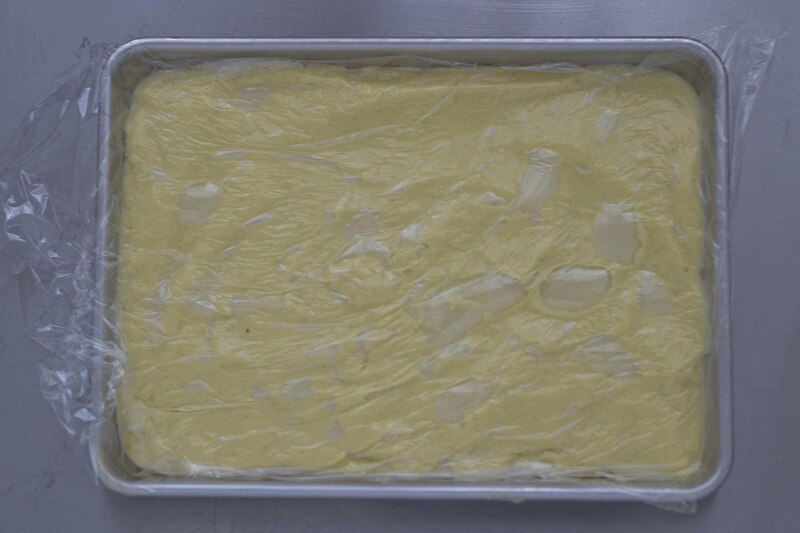 Pastry cream is a component in many Italian desserts. 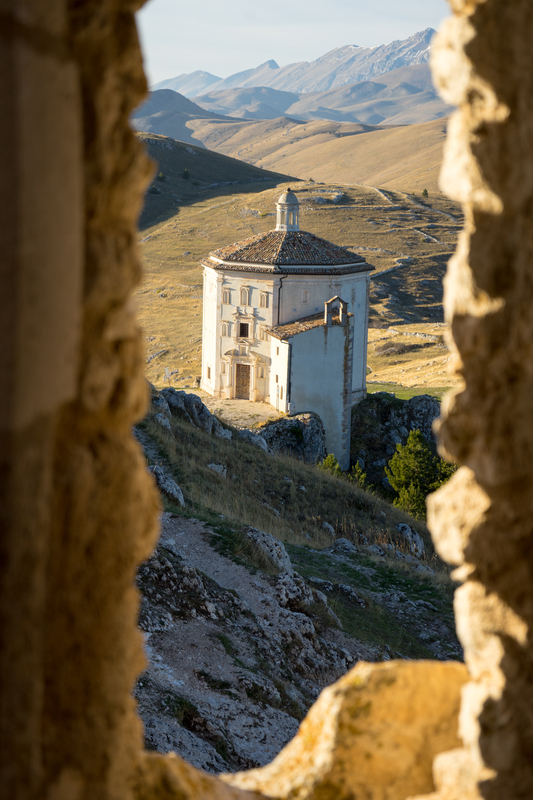 It can be used for tarts, sandwich filling for cakes, served with poached fruit, served with pandoro or panettone, or with cookies. 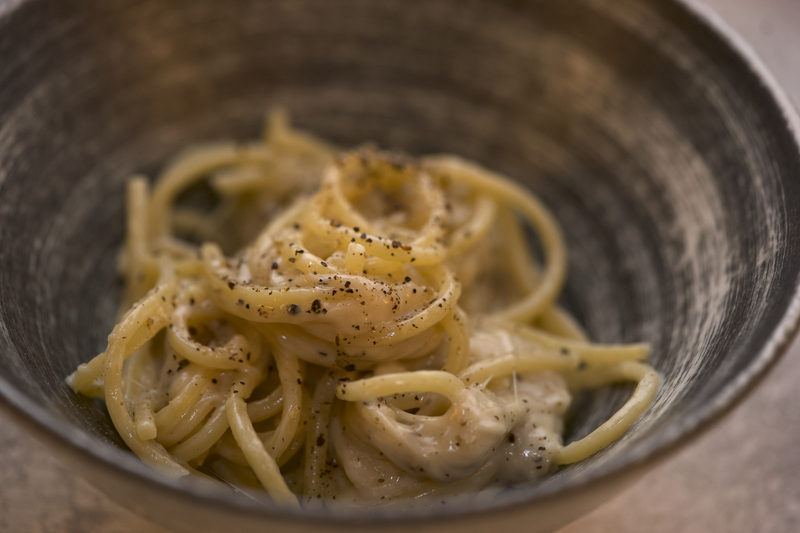 This recipe uses rice flour and cornstarch instead of flour since they begin to thicken at 86°C whereas flour thickens at 95°C. The lower the temperature used to cook the eggs, ultimately the egg flavour will be softer. 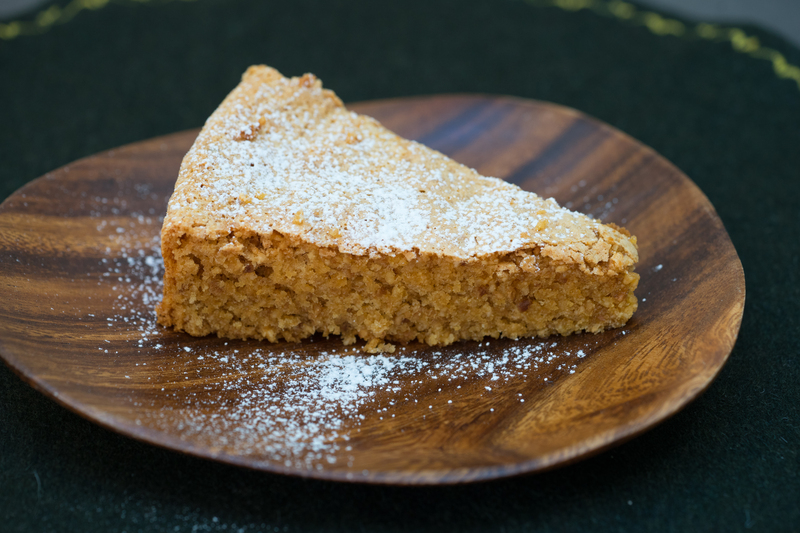 Pour 220 mls of milk into a pan and add the sugar and vanilla bean with its seeds. Heat to 55-60C and remove from the heat. 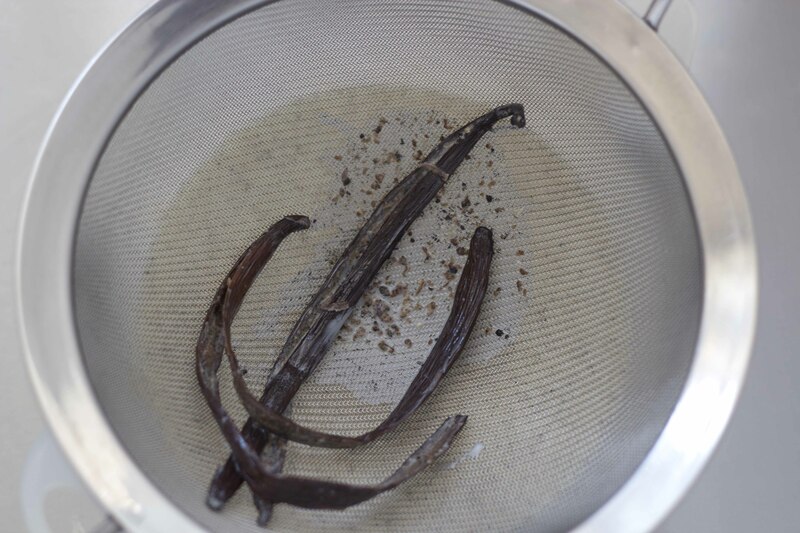 Remove the vanilla pod, rinse and leave to dry to make vanilla sugar. Strain the mixture through a fine sieve. 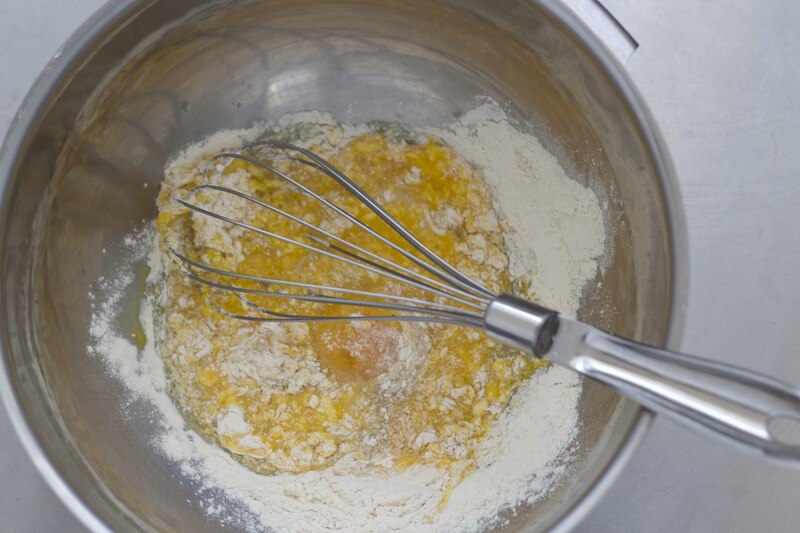 In a separate bowl, place the egg yolks, the cornstarch and the rice flour. When they are well mixed, begin slowly adding 100 ml of cold milk. Next add the cream. 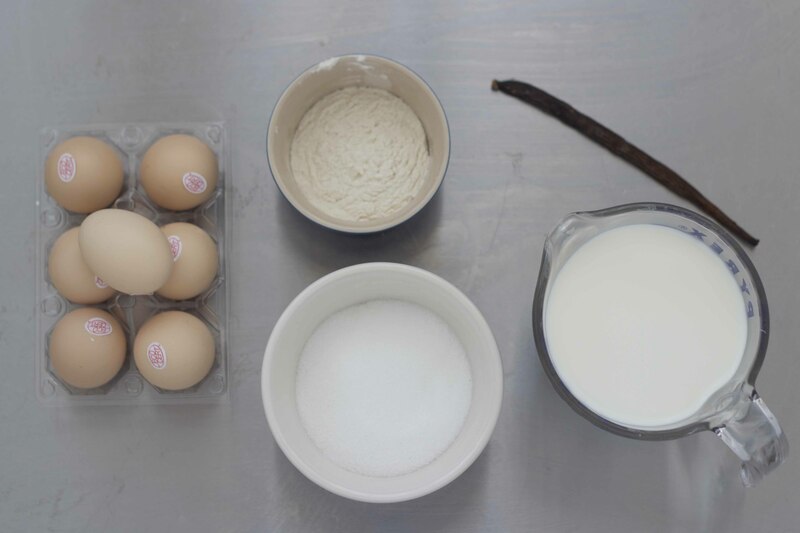 Finally, add a couple spoonfuls of the hot milk to the egg mixture, stirring constantly with a wooden spoon. 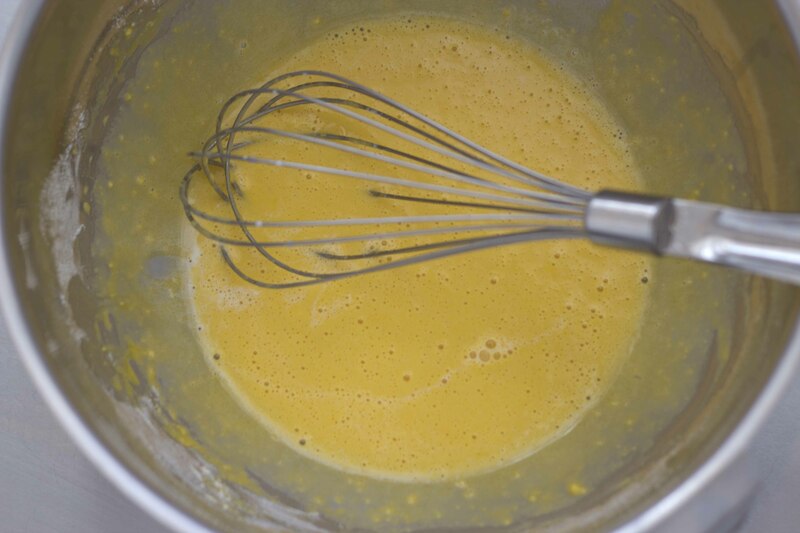 Slowly began to add little by little of the hot milk to the egg mixture until combined. 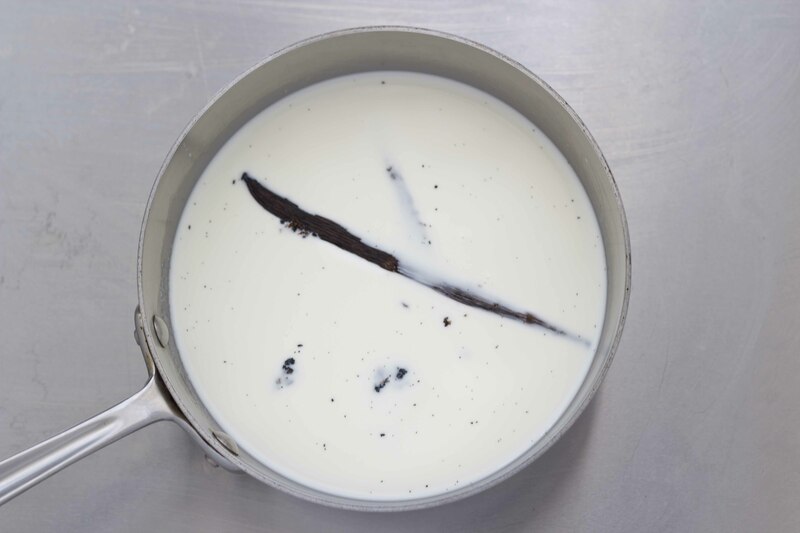 If the vanilla beans are clumping together, you can beat the mixture with a whisk to separate them. 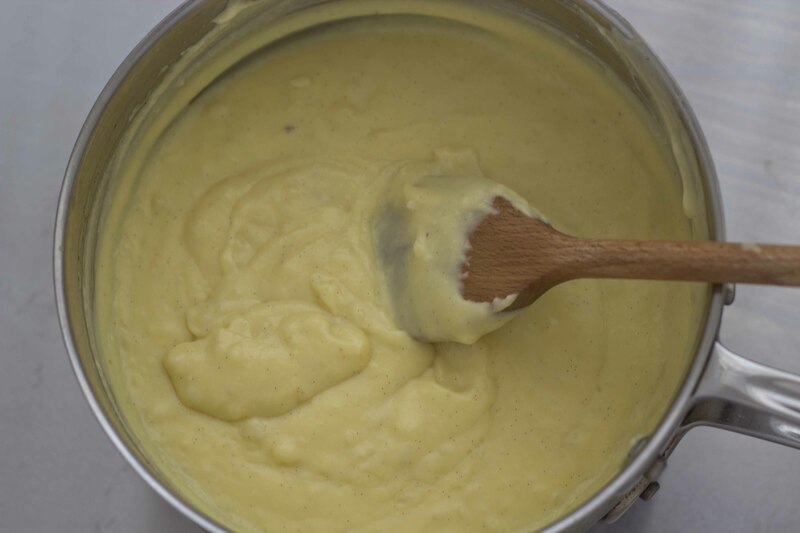 In a double boiler, heat the water until boiling before adding the mixture on top, stirring constantly to prevent lumps with a wooden spoon for about 10 minutes it reaches 86C and it is thick. 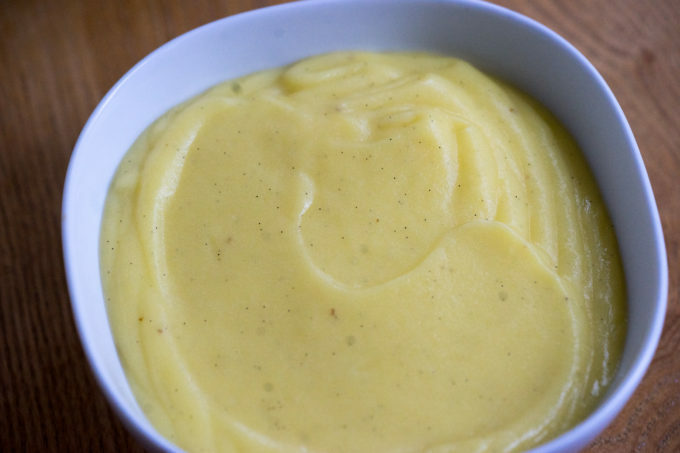 The custard should not have clumps in it and should coat the wooden spoon. 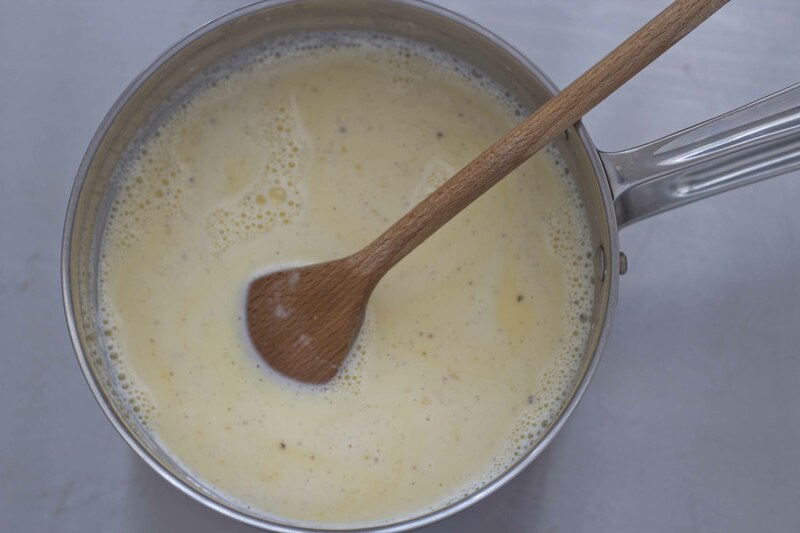 You should be able to put a spoon full of custard on the top and it should sit on top rather than sink immediately back in. 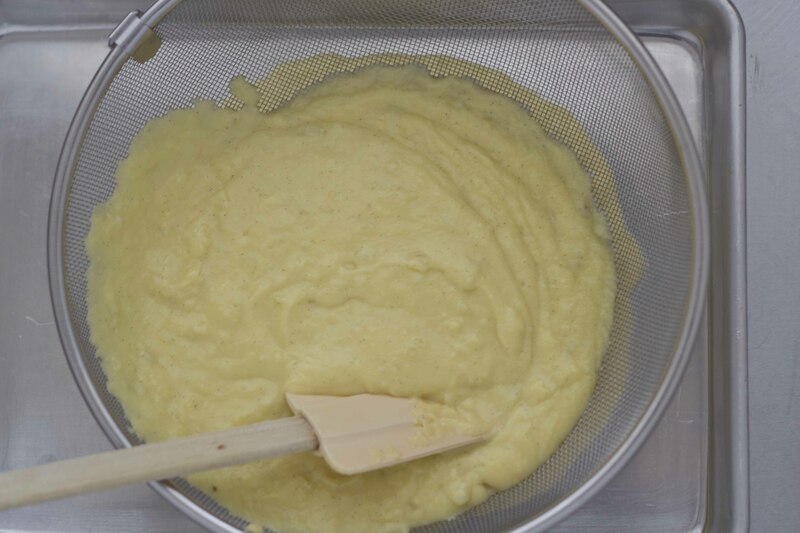 If you have clumpy custard, do not despair, just beat it with a whisk to break the clumps up and if it still is lumpy then strain it through a fine mesh. 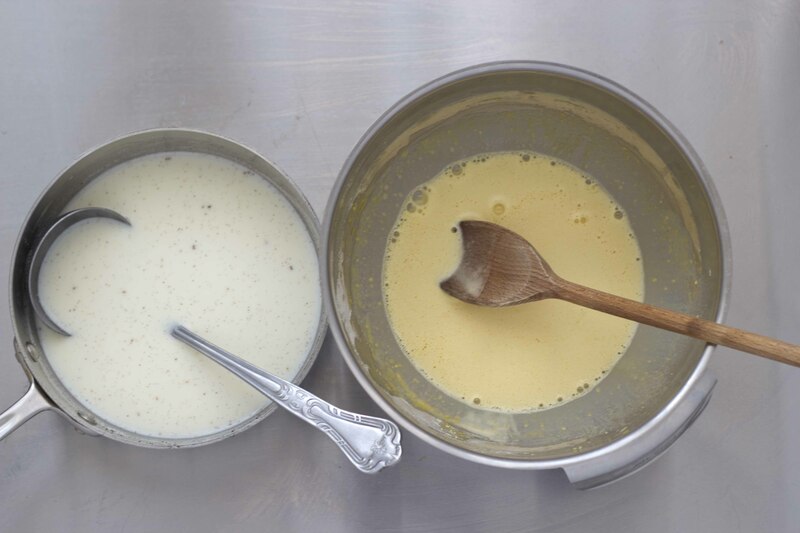 Pour the custard onto a sheet pan to cool it quickly and cover immediately with microwave cling film so that it does not form a skin on top. 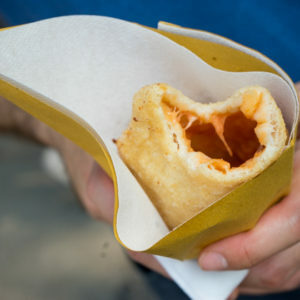 Allow to cool thoroughly, put it in an air tight container, and refrigerate for 1 to 48 hours.